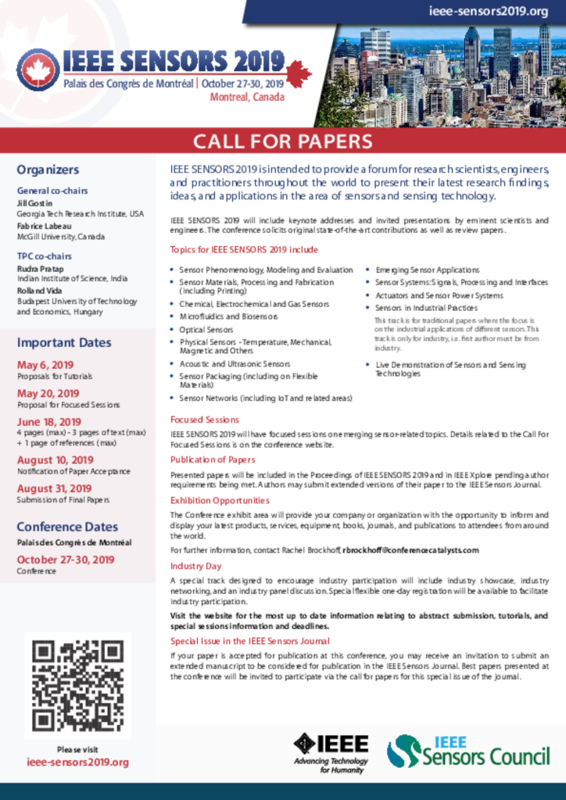 IEEE SENSORS 2019 is intended to provide a forum for research scientists, engineers, and practitioners throughout the world to present their latest research findings, ideas, and applications in the area of sensors and sensing technology. IEEE SENSORS 2019 will include keynote addresses and invited presentations by eminent scientists and engineers. The conference solicits original state-of-the-art contributions as well as review papers.